I believe athletics are a critical aspect of any small, liberal arts college experience. However, recent evidence indicates that members of the Millsaps men’s basketball program have not had a very fruitful experience while trying to enjoy and master their sport. An editor of The Purple and White conducted an informal study in November 2013 on student-athletes, questioning 90 athletes about their respective motivations for attending Millsaps College. Ninety-two percent of the student-athletes surveyed said that they would not have enrolled at Millsaps if not for the opportunity to compete in varsity athletics. Ninety-four percent of these same student-athletes said that the opportunity to compete in varsity competition was their main reason for coming to Millsaps. In my own conversations with student-athletes around campus, especially basketball, golf, baseball and football players, they address three major markers of success for any athletic program: winning, player retention and the student-athlete experience. I think that the most successful athletic programs on campus have established success in all three of these categories. One program that has not had success of any sort among these three benchmarks is the men’s basketball program. The Majors have not had a winning men’s basketball season in the last eight years. The combined winning percentage over that time is 32 percent (65-138). The team has particularly struggled away from home, failing to win a road game since February 2014. Over the last eight years, the team has accumulated a road record of 14-86. It has been especially horrid as of late—in the last four years, the basketball team racked up an on-the-road winning percentage of eight percent (4-45). This past season was the worst season to date for the program, recording only five wins in 26 total games including 10 losses in a row at one point. One of the important realities of dealing with Division III athletics is realizing that winning is not always the most important aspect. Student-athletes do not receive athletic scholarships, nor are they vying for professional athletic contracts, and DIII universities are not generating millions of dollars in sports revenue. Winning is still important to DIII athletes and coaches, but it is not of the utmost importance. For small schools, like Millsaps, student retention and the overall student-athlete experience are what should be prioritized. It is in these two categories that men’s basketball performs worst. Student retention is critical to the success and perpetuation of a small liberal arts school such as Millsaps. But the men’s basketball program is failing on this front. In the last four years, 27 players have quit or left the program. More than 50 percent of those who left received significant playing time and possessed the talent needed to compete at a high level. Included in this group are a senior who was an All-Conference player, a walk-on at an SEC school and multiple Division II transfers. Only five of these 27 players who left the team have stayed or are planning to stay at Millsaps to finish their degree. This problem dates back farther than the last four years and can be most clearly illustrated by looking at the number of freshman student-athletes in a given year versus how many of those athletes remain on the team through graduation. The incoming class of freshman in 2009 boasted 17 capable basketball players, but only two made it to their senior season, and only one of the two made it to the end of the season. Similarly, the incoming freshman class in 2011 numbered nine players, and only one of these men finished out his senior season with the team. SBA conducted a study last year on student retention rates based on athletic programs, and men’s basketball was dead last. College athletics have the potential to be one of the best experiences of one’s life. In DIII athletics, this experience should be prioritized even higher since each student-athlete is participating because he or she genuinely loves the sport. I believe that it is the responsibility of the college administration to ensure that student-athletes have a positive experience. Out of 12 former and current teammates I talked to, 11 of them, in addition to myself, claimed they had a miserable experience playing basketball at Millsaps. One of these players said specifically that he would “discourage recruits from coming to Millsaps” because of his own negative experience, and even went as far to say he would “never consider giving money to Millsaps in the future.” Another former Millsaps starter described the seasons as “mentally and physically draining.” At the conclusion of each season, every athletic team fills out an anonymous evaluation of the coaching staff, much like students do for professors. The survey results from the 2014-15 season were consistently negative across the board. So it is clear that Millsaps men’s basketball is consistently one of the least successful athletic programs on campus. Looking at numbers like this, one could think that the head coaching position has seen several different faces. Yet, the same man was at the helm during the entirety of this horrible eight-year record. The way I see it, all of these problems stem from the long-time head coach, Tim Wise. Over the past eight years, hundreds of players have come through the men’s basketball program, yet there has been only one head coach. He has been the common denominator and the sole leader of the program, controlling every aspect in day-to-day operations. Almost all of the players who have quit have cited the situation with Wise as one of the main reasons for their decision. Some players have felt that Wise was intentionally trying to run them off the team or even bully them. My teammates and I have endured several awful experiences during road trips. One day on the road, Wise only provided the team two meals, and on the long bus ride back to Jackson we passed around a single bag of chips to help satisfy our hunger. Wise also insisted that we had to eat at Hardee’s three times in the span of 36 hours. This past year was the worst I’ve experienced. The situation was so bad this year that some players and I organized and planned to boycott a game. This boycott was intended to bring to the administration’s attention the seriousness of this ongoing problem and the urgency with which the head coaching position needed to be addressed. Unfortunately, my teammates and I felt that the administration had not enacted significant changes and had failed to take our concerns seriously. As we developed the plan to boycott, Wise became more paranoid and hostile towards the players. At one point, he took one player into a room alone and interrogated him, pressuring and coercing him to identify other teammates who had spoken to administrators, minutes before facing a conference opponent. These are just some of the countless horror stories that players, both former and current, and I have experienced. But perhaps the most shocking thing is how the administration has responded, or failed to respond, to this situation. It seems that the administration is content with maintaining the status quo of the men’s basketball program. For a school that is so focused and committed to student retention, it seems very unproductive to allow this situation to continue. And for an institution whose motto is “in the pursuit of excellence,” the performance of this program in all three of the areas I previously outlined could not be farther from excellence. It is also important to note that the administration has been aware of this festering problem. Former players have attested that both players and parents of players have been meeting with and sending letters to different administrators, including Dean Katz, for at least the past six years. Campus administrators have responded with optimism and hope that the situation of the men’s basketball program would improve. President Pearigen even told a group of players that came to meet with him that he personally “promised the situation would improve” in a year. Despite this, the season directly following that promise only continued to get worse. In their defense, administrators have taken a few minimal steps to enact some change, and they have conveyed the player’s grievances to Wise multiple times over at least the past two years. However, rather than taking this constructive criticism in a mature way, Wise took this criticism personally, and actually lashed out at players, making the overall environment significantly worse. This past season after an away game at Oglethorpe, for example, Wise confronted two players in the hotel lobby and began screaming at them and threatening to kick them off the team. Other players and their families waited apprehensively at the hotel entrance, unsure how to handle the situation. As the season and situation quickly devolved, the team was not hesitant in relaying this information to administrators. But rather than holding Wise accountable, the college did not take any substantive action. Maybe it is because he is an alum, or because he was a fraternity man while a student at Millsaps, or perhaps because he has a favorable relationship with certain administrators. 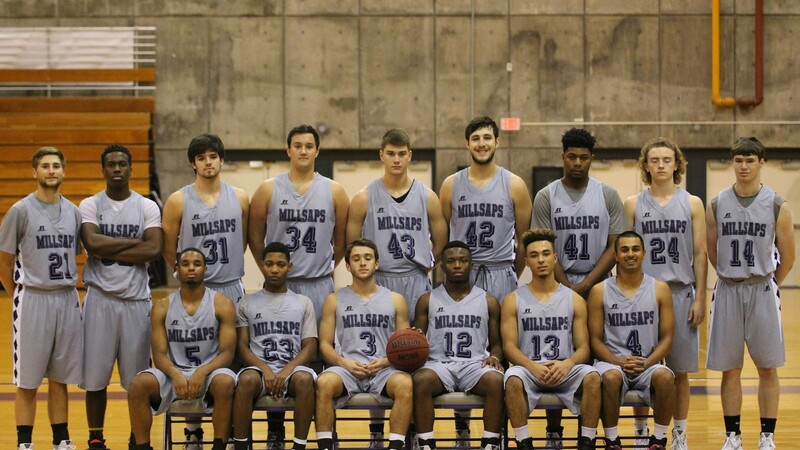 Although most administrators have not been helpful or sympathetic to the plight of Millsaps basketball players, a few individuals have acted as a critical resource to the players. Individuals such as Townsend and Julie Daniels have been very accommodating to players of all different classifications and have done everything in their power to make the lives of players a little more bearable. However, these individuals do not possess the power necessary to make or enforce significant changes to the program. I believe the two most important jobs for the leaders of Millsaps College are to ensure that students are treated fairly, and that they have a positive experience while at the college. However, former and current players, as well as myself, agree that the administration has failed the men’s basketball players on both fronts. The statistics and evidence speak for themselves. I just hope that no other group of students or student-athletes have to endure a similar experience to that of the men’s basketball players. After all, my teammates and I have been active “in the pursuit of excellence” without measurable results for quite some time. Change is never easy and is often difficult to achieve. But when the well-being of students is on the line, the discomfort of adjusting to this change is well worth it. *Editor’s Note: Due to the sensitive nature of this article, we allowed the author to remain anonymous. “At the conclusion of each season, every athletic team fills out an anonymous evaluation of the coaching staff, much like students do for professors.” This is a false statement. I have competed in 4 season across 2 different sports at Millsaps College and have never filled out an anonymous evaluation of the coaching staff. He should of been replaced a long time ago. Millsaps College basketball coach Wise is a joke. It just goes to show that when you start to look underneath the surface, there are so many systemic problems at Millsaps in administration contributing to the “lower attendance” numbers. Just looking at the numbers from a strict, cold business perspective there is no logical reason for why that person is still retained at Millsaps. If high administration actually took time to analyse the sources of our students, and factors such as these contributing to transfer rates and lower attendance, we might actually see improvement.